Welcome back to Room 13 for Term 2! Wow – isn’t the year going by crazy fast! My Time – as part of the year 7/8 programme at Stanley Avenue School we run the My Time Programme (usually during terms 2 and 3). This is where students select an area of interest to them, design their own learning, setting their own goals and success criteria. Once a week they undertake this activity, then reflect on progress and learning and set next steps. Our My Time is scheduled for Friday mornings. Your child has hopefully spoken to you about their selected project and any equipment they require. We aim to have the needed material kept to a minimum and any costs/materials spread evenly amongst the group so that there is not a financial pressure placed on families. My Time projects will be finalised during the first week back, and will begin in Week 2 (Friday 11th May). A note will go home regarding this early this week, but if you have any problems with this please do not hesitate to contact me. 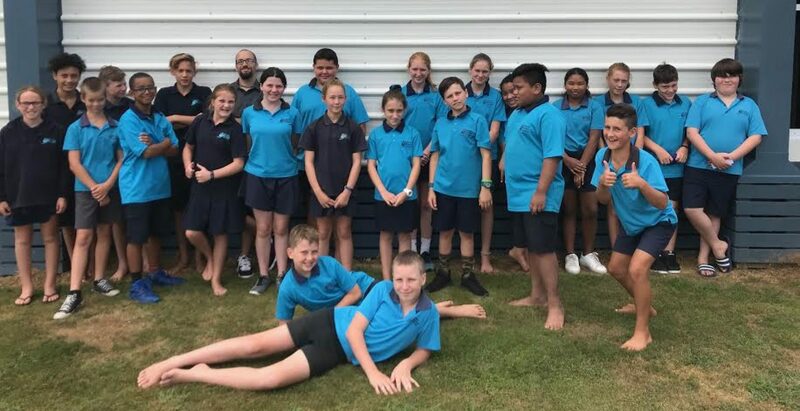 Winter Olympics – this is a highly anticipated event of the school calendar every year, and Stanley Avenue is once again sending a team of year 7/8 students to Totara Springs in Term 3. All interested students should have brought home a form at the end of Term 1, which included all the important information regarding this camp. All students interested in representing Stanley Avenue School will need to submit a CV, which must include a signed parent consent form. These CV’s are due Wednesday Week 2 (9th May). There will be no class time given to these, however Mrs Rendell and myself will be offering some lunchtimes to help students to complete their individual CV’s. If you have any questions please do not hesitate to contact myself, Keely Rendell or Paul Spicer for more information. I am looking forward to seeing all students back fresh and ready for another exciting term tomorrow. Keep a look out here for snapshots of our learning throughout the term. Hey everyone just a friendly reminder that because of Easter this weekend there is no school on Monday or Tuesday. On Wednesday school is closed for a Teacher Only Day – so students are not back at school until Thursday. We look forward to seeing you all back at school on Thursday. Have a happy and safe long weekend. This week’s writing showcase is inspired by Loneliness. With our Inquiry being focussed around Health and Wellbeing this term we watched a silent video clip, which we then determined had an underlying theme of Loneliness. We then used this to inspire our own thoughts about what Loneliness is and what it feels like to us. You can watch the video clip here https://www.literacyshed.com/silentbluebook.html and think about what it inspires you to think about. When I am lonely what do I get and feel? I feel locked out, I feel isolated, I feel depressed. It mostly feels like darkness. Nothingness. It feels like being a dark shadow looming around the long and cold dark earth. I hear and feel nothing. Not a single whisper of the tide of the seas. Not a single soul is out tonight. Not a single creak of a footstep can be heard. If you scream no one will hear you. The crickets aren’t chirping tonight. The leaves don’t blow or even dance. The tree’s don’t twist or turn. Loneliness is like staring at two black eyes. A pair of scissors cutting you up piece by piece. Only can be stopped with love. Animal or human and toys. A big beautiful flower can make a smile. But even they need a friend, so you plant them one and you’ll have a friend too. This term in Room 13 we have been part of the Get New Zealand Writing programme, were we have been writing facts about our class and producing postcards that when sent to our buddy class will be transformed to produce an inspiring poster. The criteria for our postcards was that they must contain a metaphor describing us. We have had a blast playing with metaphors about ourselves. Joanna is a colourful paint brush, prancing across the page. Harley is a tyre pounding down the road, leaving skid marks in people’s lives. Sarfyre is a gliding paint brush roaming the canvas. Brandy Man is a mall rat roaming the floors of shopping centres. Natasha is a shy owl hooting up in the tall oak trees. Lindsey is Richie McCaw shooting for the goal line. Olivia Kelsey is a clean sheet waiting to be attacked by bed bugs. Greta is a Pygmy Elephant forever cursed by being short. Phoenix Is A Stealthy Shadow That Sneakily Dives Into The Darkness. Seth Karika is a monkey flashing through the trees. Richie Gemmell is a pair of Nike shoes waiting enticingly to be brought. We would love to see your own personal metaphors in the comments! Two days a week the Senior Syndicate (Ruru) are extremely fortunate to do swimming lessons with Lyn. This is so not so confident swimmers can become confident over the year! Lyn teaches freestyle, backstroke, 1 armed freestyle & much much more! Just don’t splash her! People who commit to Lyn’s swimming group cannot uncommit until the end of the year. We have really enjoyed our time with Lyn and are already feeling much more confident in the water. Room 13 Have been working on our treaty as a class. we didn’t want to have a picture or a drawing, we wanted to have a real treaty. So then some of the class thought we should have a whare and some other people said we should have a tree. We had one chance to persuade the class and then we had a vote to see which of the treaties we would make. The vote ended with… 12 to 15! The whare won. We have got bamboo from Rico Dare and Noah DibBle, and have started putting marks on the wall for where the biggest bamboo is going to go. We are all working in teams based on our interests to contribute to the treaty. Some groups are working on the artwork, others on the mat, others on the building, some on weaving harakeke designs and another group is designing our very own carved tiki. We cannot wait to see it all come together. Last Friday – Friday February the 23rd, we had some awesome races in the pool because it was Swimming Sports. We even had house cheers! In swimming sports the races were the Medley, Backstroke, Freestyle and Breaststroke. Here in room 13 we had some students make it to the finals and do a tremendous job! Astounding, Breath-taking, Magnificent every word that I can think of that’s better than great! And I can’t forget how colourful it was there. Everyone was wearing their house colors, some people even brought poms poms and even the teachers were wearing their house colours. It was certainly a splendid event. Whakawhetai ki a koe mo te korero i tenei me te tuku.